Abstract. The certainty of smart contracts data in decentralized blockchain technology combined with an ability to apply mathematical functions to the data opens new ways of practicing law. If blockchain technology can support data systems demonstrably more reliable than human witnesses for documentary evidence purposes, a multitude of human intermediaries become irrelevant, including the documentary affiant. A future where the functional aspect of a contract becomes integrated with the prescriptive is well underway with private smart contracts. When mature, smart contracts will self-adjudicate to the extent possible. A self-adjudicating private smart contract model will provide a pathway for improving the public civil judicial system by integrating blockchain technology and machine arbitration. A prime candidate for this model is consumer automobile finance, which illustrates potential applications of blockchain financial technology and some of its limitations. This article gives a United States commercial law practitioner’s perspective on how smart contracts have the potential to change consumer finance in ways that benefit both creditors and debtors. The Kernel of Self-Authentication–A large part of the disruptive capacity of Bitcoin in law is the ability to trust immutable data created in a trustless system. The ability to ascertain authenticity of documentary evidence eliminates many of the steps in the proof-making stage of the law. The ability to apply logical legal processes to the evidence using smart contracts opens the door to more complex legal agreements limited only by mathematical ability to define entity fact patterns and ability to affect assets. Despite high-level uncertainty about the fate of virtual currencies and anonymous commerce, private commerce is ready to take advantage of blockchain technology and the potential of smart contracts. The Hearsay Rule and Business Records–In most common law judicial systems like the United States a piece of evidence may not be considered by a court unless it has met admissibility standards aimed at “ascertaining the truth and securing and securing a just determination.” In general the standard for admissibility of evidence turns on whether a human has sworn under penalty of perjury that the information is true. Documentary evidence is inadmissible hearsay, an out of court statement offered to prove the truth of the matter asserted, unless a witness has sworn to personal knowledge of its authenticity and veracity, although many exceptions to the hearsay rule exist. The “Records of a Regularly Conducted Activity” or “business records” exception to the hearsay rule acknowledges some practical problems with the rule. Business records are admissible if an employee of a business signs an affidavit under penalty of perjury, swearing familiarity with the account and the accuracy of the document. This process invites abuse. The rules of evidence allow for self-authentication of documents deemed reliable, for example, a court order or other official document. Smart contract self-authentication has the potential to eliminate many of the costs and problems of the debt collection process by setting a higher standard of reliability for evidence that merits changed evidence standards, smoothing the engines of commerce and civil justice. 3. Private Law and the Problem of Consumer Collections. Private Law Will Innovate With Smart Contracts–As business legal needs became more complex, private lawyers created contracts that functioned ever more seamlessly over time. Private law leads the judicial system in finding better processes because of their clients’ demand for better predictive and problem solving models and their accompanying ability to execute their wishes via contract. Private law slips into the architecture of commerce in contracts like liability waivers and click-wrap agreements. Common contract law usually enforces arms’ length agreements to limit the scope of a contract, including what to do in case of dispute. Merger clauses, best evidence and parol evidence rules, arbitration, waiver, choice of law and choice of forum clauses all work together to help parties to the extent possible craft a contract that serves their needs without consuming future legal resources. Private law is working to meet the needs of commerce in creating complex smart contracts in blockchain-based systems, self-containing as much of a contractual relationship as possible while being enforceable if necessary in a terrestrial jurisdiction. Consumer Collections and Private Law–The consumer contract in default for nonpayment is a conundrum for private lawyers. Consumer collections cases are high-volume and involve unrepresented, irrational actors, leading consumer lenders to innovate with uniform, plain language contracts functioning with mathematic logic. Most consumer contract lawsuits are alike rather than distinctive, focusing on whether facts exist to satisfy an element-based rubric of a cause of action or defense. For example, if a contract does not contain the elements of mutual assent and consideration, the remainder of the terms need not be analyzed because the agreement fails to meet the formal elements of contract law. If facts satisfying the rubric are not in dispute, a court issues summary judgment, judgment as a matter of law, a procedure recognizing that a large number of cases do not require trial. A case only goes to trial if material facts are in dispute, that is, it falls outside of rubric-based analysis. Consumer finance contracts are written in rigid, “if/then, if/else” logic while taking into account many potentialities. Consequently there are few defenses to nonpayment of consumer debt and cases rarely go to trial. Overwhelming Consumer Lawsuits–Contractual comprehensiveness makes collection as predictable as possible but high-volume collection lawsuits can overwhelm judicial systems, prompting innovation in judicial and private contract enforcement. One judicial model for developed for dealing with collection lawsuits is court-ordered arbitration. In many jurisdictions, collection lawsuits go first to an arbitration hearing, where an appointed arbitrator, usually a local attorney, reviews the evidence and hears testimony before issuing an award. Court-ordered arbitration may be non-binding, meaning either party may appeal for a judicial determination. If not appealed, an arbitration award becomes a judgment. Court-Ordered Arbitration Failures–Court-ordered arbitration took some cases off the docket but failed to solve the parties’ problem. In practice, arbitrators are less predictable in applying the law than judges. Court-ordered arbitration adds a layer of time and expense that eventually becomes judgment debt against the consumer. Arbitration fees are charged to both parties. The creditor pays its fee, along with any appeals fee and pursuant to contract provisions adds it to the total owed by the debtor, in addition to attorneys’ fees and court costs. Each step along the way inflates the bundle of debt tied around the consumer’s neck, inflating too the cascade of loss when the debtor files bankruptcy, dies or refinances into an unsustainable sub-prime mortgage. Non-Judicial Options—Over time, consumer lenders and lawyers created ever more effective methods of peaceable self-help. One contractual method of self-help is cross-collateralization. Creditors that have multiple accounts with a debtor often have the contractual right to seize assets from any of the debtor’s accounts to settle a defaulted contract. Credit reporting systems were another collection innovation that served to coerce payment and evaluate risk in consumer lending. In practice, binding contract arbitration is a private option of limited utility because it is often no less expensive than judicial collection procedures, which retain the irreplaceable feature of seizing debtor assets including real property to satisfy a judgment. The Debt Buyer–The unpredictability of collection led to another innovation in consumer law, the debt buyer. First-party lenders found more predictability in selling a defaulted account to a down-market collector than in collecting the debt themselves. Abuses of notice pleading and documentary evidence led some states to create higher pleadings standards for debt buyers, an explicit recognition that the gatekeepers of the civil justice system were not functioning properly. Past lessons enable new solutions–Smart contracts give consumer lawyers the opportunity to build on the successes and failures of past attempts at solving the problem of consumer collection litigation. Smart contracts will give creditors access to broader peaceable self-help methods, like cross-collateralization across a distributed ledger consortium, GPS collateral location, seamless credit reporting, judgment recording and payment systems. Consumer arbitration may finally serve its intended purpose in a cryptolegal system integrated with the judicial system. Case study: The Automobile Finance Contract–The consumer automobile finance contract provides an instructive case model in a known subject of smart contract innovation. Because auto finance contracts deal with consumers and collateral, it is impossible to completely eliminate the judicial system, but smart contract and blockchain technology can streamline the function to the benefit of creditors, debtors and the justice system. Functional Contracts–An auto finance contract, written in tight, flexible, algebraic terms, anticipates more about the debtor’s future than the debtor can because it has the experience of the law behind it. The contract anticipates that the debtor might move to another jurisdiction, crash the vehicle, get divorced, fall ill, have a child, lose a job or find the vehicle seized as a consequence of a relative’s drunk driving. None of these events excuses the debtor’s performance under the contract because the contract anticipates typical human fact patterns. The creditor’s interest in is noted on the title to the vehicle at the jurisdiction’s central registry so that the debtor cannot transfer title to the vehicle or use it as collateral for another loan without disclosure. Smart contracts, combined with internet-of-things (“IoT”) enabled vehicles, allows an in-vehicle financing experience that eliminates opportunities for fraud at the purchase stage. For example, identification could be established by a combination of the debtor’s image, touch-screen fingerprinting and e-signature. The on-board computer can provide required consumer protection notices and manage interaction with titling agencies. Evidence created by the computer can be preserved in smart contract technology. Better Self-Help–The smart contract procedures that provide certainty in the contract formation stage can provide better communication with the debtor in the default stage. In a typical automobile finance contract default the creditor begins a cycle of contacting the debtor to arrange payments or ascertain whether the default is likely to be cured. These contacts are highly regulated and usually by telephone and in writing. If the debtor does not make the payments in a reasonable time, the creditor may declare the contract in default, repossess the vehicle and accelerate all past and future amounts due under the contract because it’s what the debtor agreed to. Self-help Repossession–In U.S. jurisdictions, creditors may generally use peaceable self-help or agent repossession to regain collateral. 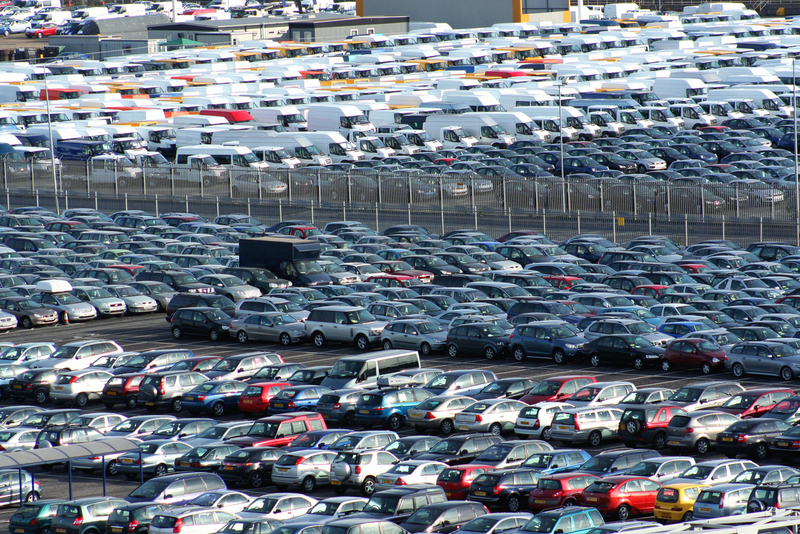 Creditors sell repossessed vehicles at wholesale auction and apply the proceeds to the accelerated contract balance. If the debtor owes more than the vehicle is worth, the debtor owes the creditor the resulting deficiency balance, including repossession and auction fees. Smart Contract Collections and Opportunities to Cure. Smart contracts can improve the collection process in IoT enabled vehicles by automatically contacting debtors with private notices and requesting response. A host of flexible collection arrangements, including immediate payments, application for disability or request for payment modification, are possible with a sophisticated smart contract and IoT computer. Notice and opportunity to cure payment defaults may be built into collection systems enabled by automotive IoT devices. While potentially useful, automatic engine shut-off via smart contract is self-defeating at the pre-seizure stage because it limits a borrower’s opportunity to cure by driving to work and might have unpredictable consequences. Internet of things automobiles combined with GPS technology will make self-help repossession agents more effective. For voluntary surrender of a vehicle, GPS directions for surrender location may be arranged. Every in-vehicle collection interaction can be recorded and stored for evidence purposes serving as proof of contract and protection against consumer complaint. Judicial Collection Options and Problems. In a typical auto finance contract, if the debtor does not pay a deficiency balance, the creditor can sue the debtor, or, increasingly, sell the contract to a debt buyer to collect and/or sue. The debt may change owners several times. By the time a debt buyer files a lawsuit the evidentiary record might be reduced to a single line entry in a database containing a name, social security number and amount due and date, enough to draft a civil complaint. Civil judicial notice pleading rules allow a verified (sworn by affidavit) complaint alleging the bare conditions of a contract: a prima facie case. If a defendant does not answer the complaint, the court enters judgment via an administrative process, default judgment. Some entities take advantage of the lack of pleadings gatekeeping in consumer lawsuits to file high-volume lawsuits that, if reviewed for documentary sufficiency by a defending attorney or demanding judge, would be dismissed. Blockchain technology can eliminate the false affidavit dynamic because of its reliability as a data creation and storage device. Automobile lenders have long searched for ways to preserve evidence and are among the first to explore blockchain data management and smart contracts. Using smart contracts, automobile creditors can be leaders in reducing abuse of judicial collection. Judicial Pre-trial Repossession. If a creditor is unable to repossess a vehicle peaceably, its only recourse is the enforcement power of courts and police authority. Most jurisdictions provide a pretrial replevin (return of property wrongfully retained) process to regain possession of collateral subject to a contract in default. Automobiles depreciate rapidly, so time is of the essence in regaining possession. In practice, borrowers in default often stop paying insurance premiums, so the risk of total loss of the contract value is heightened. Beginning a Case in Summary Judgment Posture–For the creditor’s attorney, urgency means filing the initial lawsuit with summary judgment evidence, a procedure that can be made seamless with smart contracts. The pretrial hearing is typically a check-the-box affair in which the creditor presents its case through documentary evidence verified by affidavit. Proof includes a signed copy of the contract that shows security interest and right to repossess, payment history and a copy of the title showing the creditor’s lien, all things that can be managed with smart contracts. The result is an order from the clerk directing the sheriff of the jurisdiction to seize the vehicle. To protect against errors in a pre-trial proceeding, the creditor may be required to post a bond to cover the buyers’ interest in the collateral pending a judge’s order, in which case a final hearing is required even after recovery of collateral to release the bond. Integrating judicial repossession of collateral subject to smart contracts may be achieved through success in private machine arbitration. 6. Consumer Finance Machine Arbitration: Elevated Evidentiary standards Meets Less Adversarial Rules. A Higher Burden of Proof and an End to Bogus Default Judgment–The transparency of smart contract machine arbitration will give humans a fair chance against abuses of judicial debt collection procedures using smart contract data certainty and the existing rules of contract law. Software-based consumer finance machine arbitration may apply a different burden of proof from a judicial court. Litigation relies on the defendant’s answer and discovery process, rarely necessary in the consumer collection case, to develop the material facts because the court treats both parties alike. In notice pleading evidence need not be presented in a complaint, just sufficient facts to state a cause of action. A consumer machine arbitrator can require all prima facie evidence at initiation of a case, as in debt buyer pleading statutes. Rather than completely shift the burden of proof to the debtor to disprove the case, a machine arbitrator can assess the sufficiency of the creditor’s evidence and ask leading questions of the debtor regarding defenses. Default judgments arising out of bogus evidence become moot in the smart contract arbitration rubric. If the creditor does not satisfy its burden, the arbitrator denies relief. A machine arbitrator will think like a judge in a summary judgment case: if a case has enough nuance that it cannot be answered in conditional, yes/no logic, the machine returns an exception. The case then requires review by a trained human arbitrator or judge for an ad hoc review and potential refinement of the arbitrator by learning and programming. The Arbitrator Must Withstand Judicial Review—The decision of the smart contract arbitrator must withstand traditional legal scrutiny: when reviewed by a human judge or lawyer, will the arbitrator’s decision stand? Judges know that one element of certainty in cases is drafting orders that specify exactly how the instant case fits into the rubric of litigation. An arbitration award must identify: material facts and specific issues it addresses; the rules of law it applies; the precedents on which it modeled its analysis; and a conclusive ruling. For an arbitration award rubric, the drafting method IRAC (Issue, Rule, Analysis, Conclusion) is a familiar reductive tool for lawyers and a good beginning format. It is scalable into a reflexive machine learning algorithm that can allow the arbitrator to refine its knowledge, like IBM’s Watson. Execution of the Arbitration Award–Execution of the machine’s judgment poses different questions. In a smart contract case where relief can be granted via blockchain cryptocurrency, private parties might choose exclusive blockchain-based relief like automatic execution of judgment or an escrow of disputed funds during a set appeal period. Self-help in cross-collateralization is limited only by the size of the blockchain in which the creditor participates. For matters of physical collateral and assets, the issue gets stickier: will machine arbitration awards support emergency relief like pretrial replevin or property liens like a judgment? The likelihood of this depends on whether a given jurisdiction embraces the disruptive potential of decentralized ledger self-authentication. Preparing for Judicial Review–Every aspect of the cryptolegal space will be tested by the traditional legal system. It is important that cryptolegal models, while crafted to suit the specialized needs of users, withstand scrutiny of traditional law with respect to notions of good faith, fair dealing and scientific evidence standards. Working with open source models is important to being able to articulate to the traditional legal system that cryptolegal space is capable and qualified to administer justice. Anything less transparent than the law, the original open-source tool, will automatically inspire distrust. An Exception to the Hearsay Rule–The first step to using smart contracts to achieving real efficiency in private and public administration of justice is to prepare a summary judgment case about why self-authenticated blockchain documents under certain circumstances should be admissible as non-hearsay evidence without human sworn authentication. The elements of this argument might be: Daubert-style analysis of smart contract methodology; discussion of the fallibility of the business records exception; predicted improvement in justice function; and decreased costs of administration in a working private smart contract model. Models of what works well in private smart contracts, especially dispute resolution, will provide the precedent the traditional justice system needs to adjust standards of documentary evidence. From there, the ability to apply mathematical processes to evidence is exponentially scalable into real solutions, from consumer automobile finance and beyond. Fed. R. Evid. 102 (2015). The Federal Rules of Evidence serve as form rules for U.S. states and are used herein as examples. Fed. R. Evid. 603, 901. 803(6) (2015). Fed. R. Evid. 801, 803, 804 (2015). Fed. R. Evid. 902 (2015). No Author. “Private Law.” (accessed 28 December 2015) Wikipedia.org https://en.wikipedia.org/wiki/Private_law. The author cites Wikipedia.org for several points of general law to give non-lawyers an idea of jurisdictional variations. A contract is a promise or a set of promises for the breach of which the law gives a remedy, or the performance of which the law in some way recognizes as a duty. Restatement (Second) of Contracts § 1 (1981). Fed. R Civ. P. 56 (2015). Recording an interest in collateral for public record is called “perfection.” U.C.C. § 9-312 (2003). Fed. R. Civ. Proc. 7-13 (2015). Fed. R. Civ. Proc. 55. (2015). See, e.g., N.C. Gen. Stat. § 1-473. See, e.g., N.C. Gen. Stat. § 1-474. Daubert v. Merrell Dow Pharmaceuticals, 509 U.S. 579 (1993) is part of a long judicial discussion about how to assess scientific and technological evidence in litigation. The idea of applying so-called smart contracts to a high-volume, legally complex, and inherently movable thing as a collateralized automobile loan is enticing. I agree that the IoT connectedness of the collateral together with blockchained data storage offers a compelling source of time-stamped event information. This could be put together with a similar process for payments, where for example a receipt for each payment were written immutably to a blockchain. A mechanical arbitration procedure (aka a smart contract) could provide definitive answers. I do feel that the article tends towards the procrustean: forcing our new blockchain into the bed of Contract Law. This could result in more billable hours for cyberlawyers and coders, but might not improve the lot of the consumer and financier. It might be socially beneficial to explore the possibilities for heading-off and for curing defaults. Perhaps this is what is meant by automated arbitration? But I am thinking more of negotiation. For example, a debtor in arrears could be offered an immediate settlement: “make payment now and be restored to current status; or delay and be bound by legal contract terms.” The purpose of contracts isn’t necessarily to execute them, but to threaten execution. A truly smart automated contract should encourage such negotiation outside of the overburdened courts system. Thank you for your comment! I think especially in IoT devices the ability to do what you suggest – add a negotiation feature – is real but the problem with auto loan defaults is once that happens, there’s no negotiation possible because the debtor can’t string together enough cash to make a car payment – zero bargaining power. All the negotiation in car loans is up front, and other than price and rate, there’s no negotiation of terms because auto finance contracts are so tight in the first place. Auto loan companies won’t accept anything less from a blockchain product. I’d be surprised if big auto lenders weren’t doing this. This is an existing business problem that is definitely already connected to blockchain space. I understand the hesitation to force law onto the blockchain, and I don’t propose governance like that at all. To me, contract law is a tool that brings freedom because I can use it in any way I want. It seems that many conceive of law as a top-down monolith that should not be trusted. I’m glad I have a different experience because I would not like that kind of law either. I feel lucky to have experience with useful, healthy legal tools.